Type 2 is present at birth and is usually associated with spina bifida and occasionally with hydrocephalus . 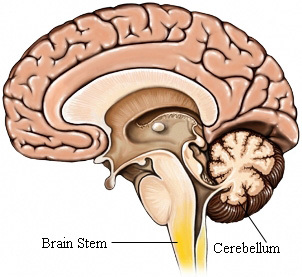 Type 3 is usually present at birth and is usually associated with hydrocephalus . Chiari malformation. EBSCO DynaMed Plus website. Available at: http://www.dynamed.com/topics/dmp~AN~T115525/Chiari-malformations . Updated May 10, 2017. Accessed February 16, 2018. Chiari malformation. American Association of Neurological Surgeons website. Available at: http://www.aans.org/patient%20information/conditions%20and%20treatments/chiari%20malformation.aspx. Accessed February 16, 2018. Chiari malformation. Columbia University Medical Center website. Available at: http://www.columbianeurosurgery.org/conditions/chiari-malformation/. Accessed February 16, 2018.